Specials since "little Download Update"
Then paste the WebBukkit.jar or UniportWebserver(maybe lite).jar into your plugins folder. How to handle the HTTPRequestEvent (for pros)? 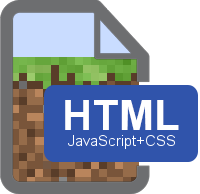 // Request example: "GET /Minecraft HTTP/1.1 ..."
Is there more data from the HTTP/1.1 Request? The PHP-Interpreter don't knows date() etc...? This plugin uses Metrics since "PHP Update"/"lite Update"
I have a working solution on Minecraft 1.12 using a self-made installer which automaticly decompiles your server and compiles it back. It might be version independant but I haven't tested so. The only error I am getting with this is that the Player Bukkit.getOnlinePlayers() method doesn't exist anymore. If there is any interest in me publishing that installer, feel free to ask. Sorry, I wasn't here a long time. I love the plugin but are you gonna update this plugin for 1.10.2 and will it work with spigot? I know the link of Quercus is the one I'm supposed to use but I'm not sure how to implement it, is there a more detailed tutorial or will you be kind enough to add it to an upcoming update? and my sugestion you can add this plugin on this site? https://www.spigotmc.org/resources/ Thanks. Ok, so I have a question, when the server starts up, it didnt create the WebBukkit/UniportWebServer folder. Do I need to create that? Dude, your amazing. Just plain amazing! This is genious! free web hosting! Special Chars Fix, extract like zip, then follow installing desc.